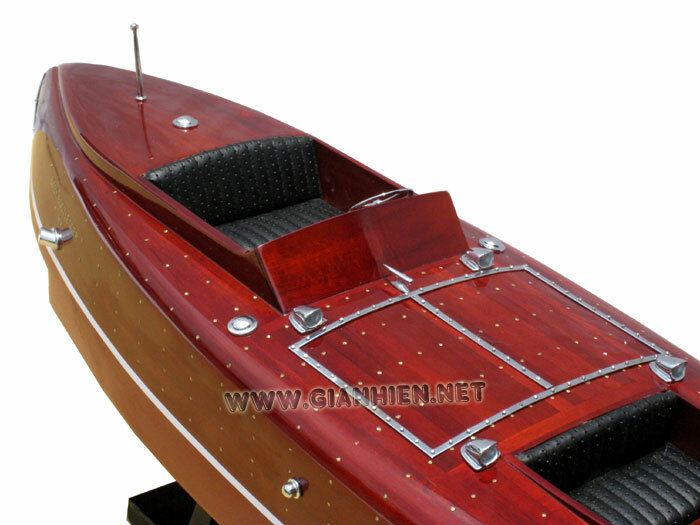 Our model is hand-crafted from hard wood with planks on frame. The hull is knocked with hundreds of brass pins by our skillful craftsmen. This model is not a kit and ready for display. All the metal fittings are brass chromed. 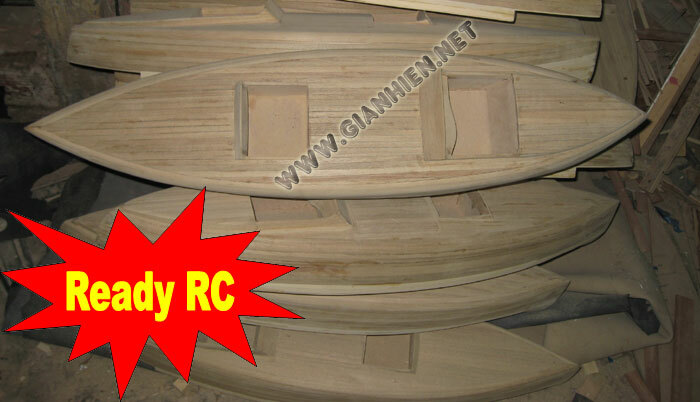 Model is also built available for RC. 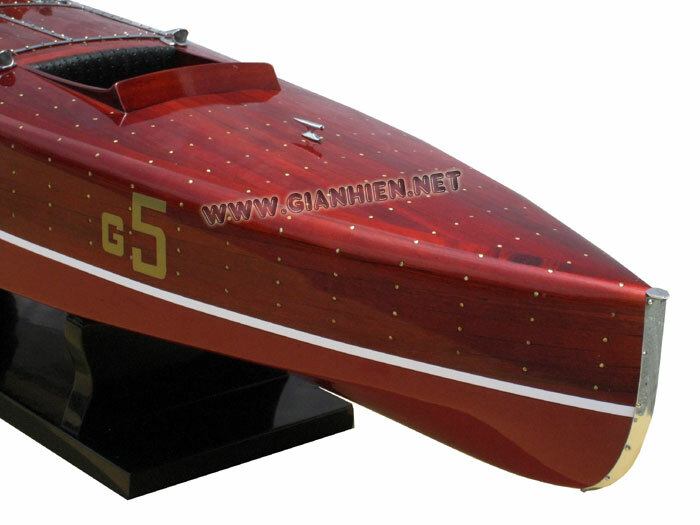 One of the most beautiful race boats of all time, BABY BOOTLEGGER achieved fame as the winner of the APBA Gold Cup in 1924 and 1925 and the Dodge Memorial Trophy in 1925. Designed by George Crouch and built by Henry Nevins, the construction of BABY BOOTLEGGER was unique. 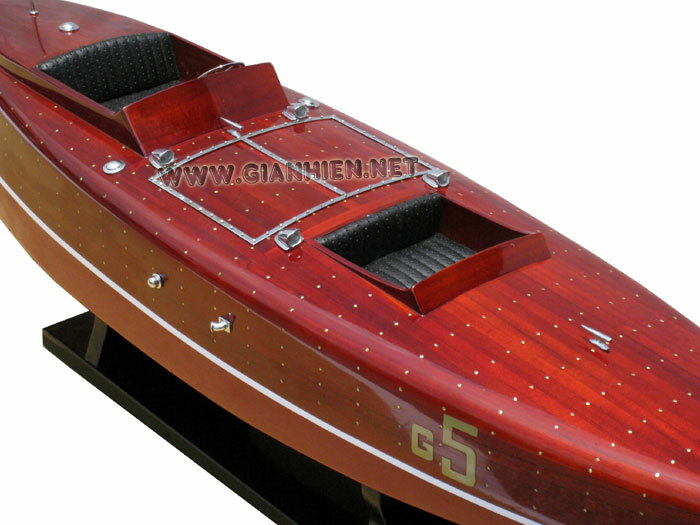 The sides of the mahogany hull were rounded into the deck with a gradually changing curve from stem to stern. The advantage of this design was that it permitted the construction of a light and strong hull with a minimum of wind resistance. 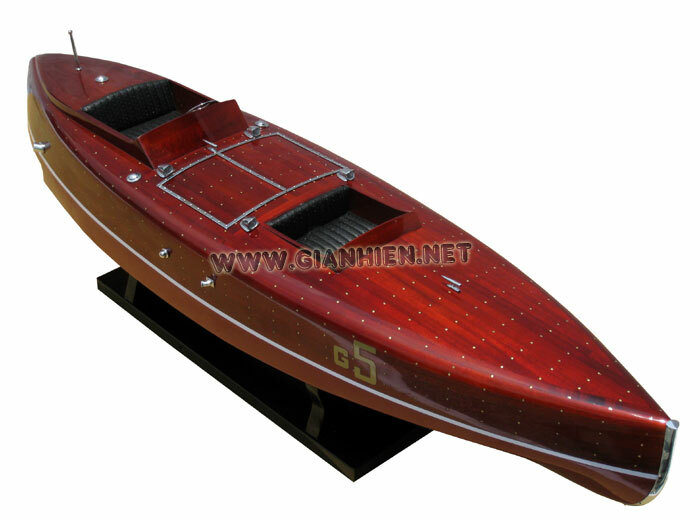 The boat initially used a V-8 Hispano-Suiza engine, specifically the licensed Wright-Hisso version. Built with 719 cubic inch piston displacement, the engine was sleeved to meet the 625 cubic inch maximum of the day. The popular "Hisso" was used in the Spad aircraft during World War I. The owner Caleb Bragg was a successful auto racer, a World War I test pilot, an officer of Wright Aeronautical, and--by all accounts--a most thorough engineer. 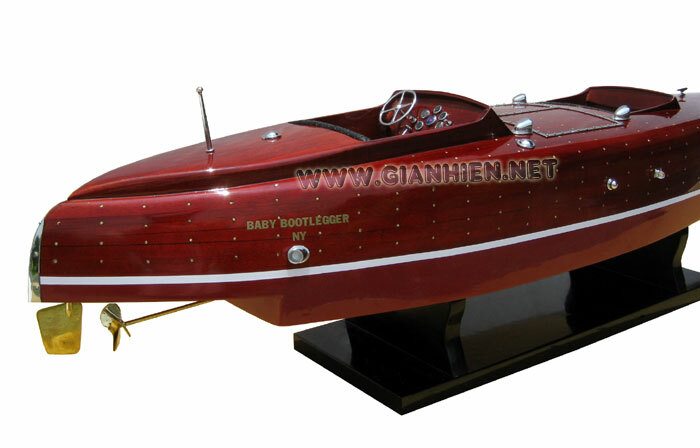 While never quite the fastest competitor in the APBA Gold Cup Class of the 1920s, BABY BOOTLEGGER was very reliable. 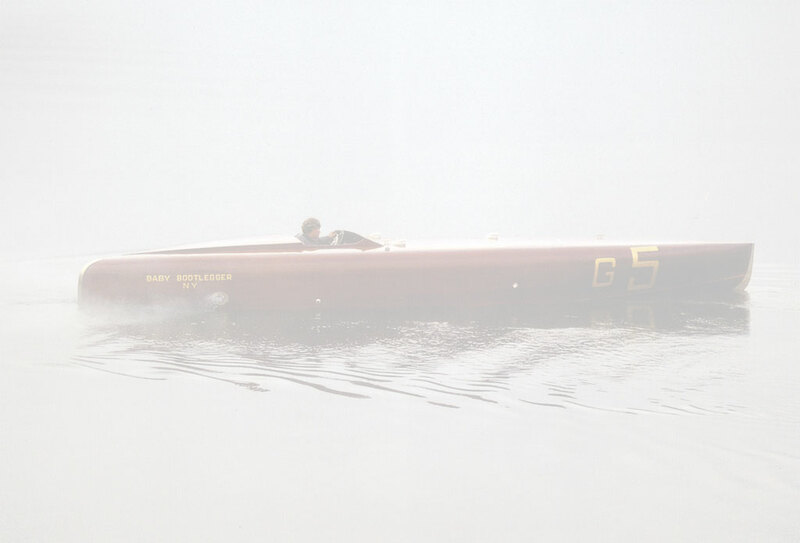 A product of the "Gentleman's Runabout" era of power boat racing, the BOOTLEGGER was a displacement craft, hydroplane hulls having been outlawed for the time being by the controversial rule change of 1921. With owner Bragg at the wheel, BABY BOOTLEGGER (G-5) posted heat speeds in the 50 mile an hour range. Bragg and the BOOTLEGGER were involved in one of the more bizarre chapters in Gold Cup history at the 1924 contest in Detroit. The Canadian sportsman Harry Greening had apparently won with his Packard-powered RAINBOW IV, with BABY BOOTLEGGER coming in second. 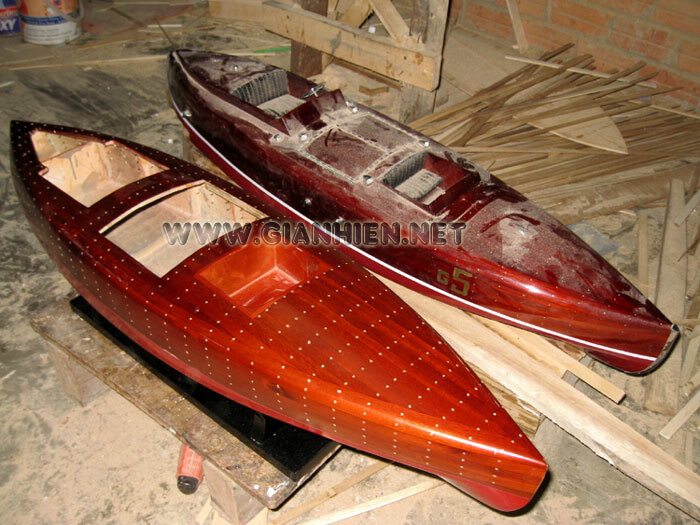 But Greening's boat was seen by some as being a hydroplane rather than a displacement hull. The craft’s bottom was of lapstrake construction, which was technically permitted by the rules. The APBA decided, however, that the strakes had been installed for the express purpose of achieving a hydroplane effect. In other words, Greening had followed the letter of the rules but not the spirit of them. As a result, RAINBOW IV was disqualified and BABY BOOTLEGGER was moved from an overall second to first position. Greening never competed for the Gold Cup again, although he remained active in boat racing affairs for many years. BABY BOOTLEGGER may have won the 1924 Gold Cup by default on a technicality, but she and Caleb Bragg won the race "for real" in 1925 on Manhasset Bay at Long Island, New York. Nine boats showed up to do competitive battle that year with six of them (including BABY BOOTLEGGER) using Packard power. Three 30-mile heats were run and three different boats won them: NUISANCE, BABY BOOTLEGGER, and MISS TAMPA. Heat Two was a heart-stopper. Bragg and BABY BOOTLEGGER outran Horace Dodge, Jr.'s IMPSHI over the finish line, 48.462 miles per hour to 48.357. On the day after Bragg's 1925 Gold Cup win, he piloted BABY BOOTLEGGER to victory in all four 12-mile heats of the Dodge Memorial Trophy. 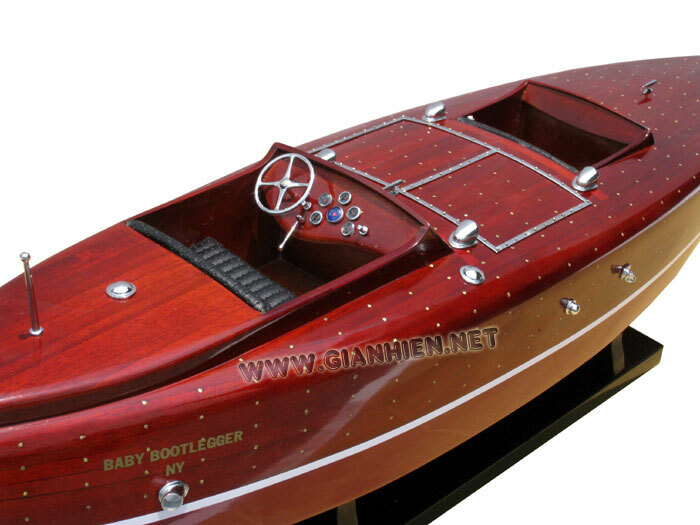 Retired from competition, the BOOTLEGGER languished in storage for many years until discovered in 1977 by vintage boat enthusiast Mark Mason. Following an accurate, complete, and craftsman-like restoration by Mason and Bruce Barnard, BABY BOOTLEGGER was repowered with a rebuilt "Hisso" engine. 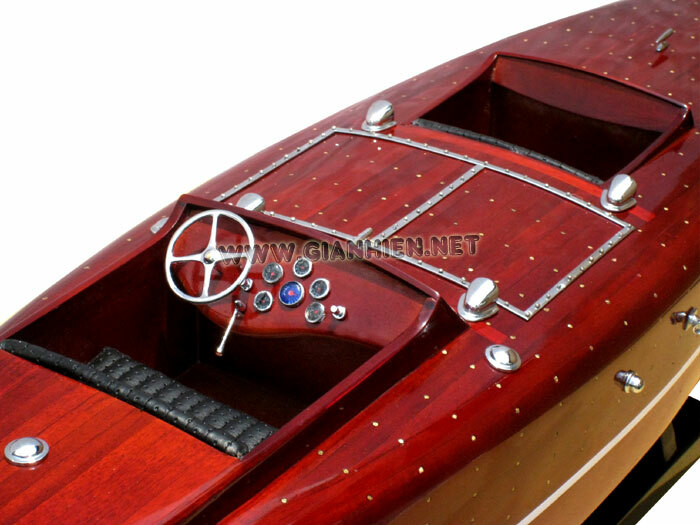 It went on to win the Best of Show Awards at the Antique and Classic Boat Society gatherings in Clayton, New York, at Lake Winnepesaukee in New Hampshire, and on Canada's Muskoka Lakes in 1982. 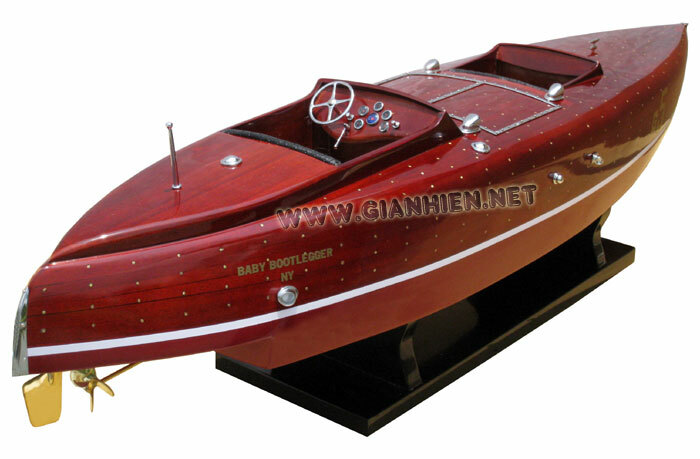 The restored BABY BOOTLEGGER is a fitting tribute to power boat racing's classic past and one of the few race boats from the 1920s still in running condition.